For a classic boardshort that's built for fun on land and water alike, put him a pair of Stella McCartney Kids™ Camo Swim Shorts. Elastic stretch waist with drawstring detail. Dual patch pockets with hook-and-loop secure closure. 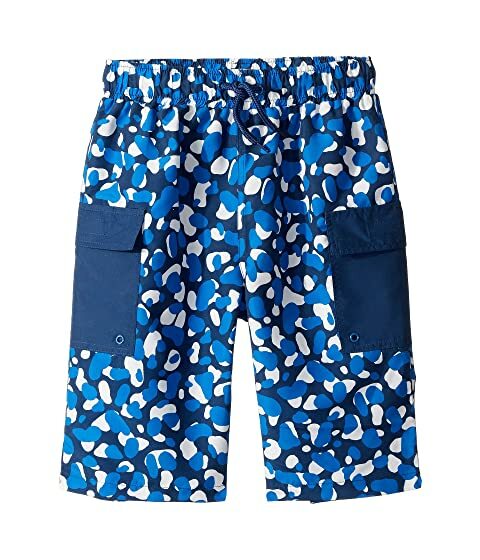 We can't currently find any similar items for the Camo Swim Shorts (Toddler/Little Kids/Big Kids) by Stella McCartney Kids. Sorry!